Nerds: the untouchables of our society. We like having them around because they make us feel so much better about ourselves. I know how politically incorrect that sounds but I also know you secretly agree. Don’t believe me? Okay, do this: think of two nerds fighting each other. Now, imagine one is wearing a “Black holes are out of sight” t-shirt. Good, now imagine the other wearing a t-shirt that says, “3.14% of seafarers are Pi-rates.” You’re smiling now, right? You’re feeling better about yourself somehow, aren’t you? Yeah, me too. Maybe it goes all the way back to junior high, watching them walk down the hallway with a Bridges of Madison County lunch box in one hand and a clarinet in the other (more commonly known as an “abstinence horn” by those residing higher on the social ladder). Seeing them there spoke to our ego, convincing us that for some reason it was better to be one of us than one of them. But why would someone be thrust into an entirely different social class for simply playing an abstinence horn or carrying a somewhat feminine movie themed lunch box? Especially considering how well the movie was scripted and cast. The rules and complexities determining these hierarchies are often ridiculous to anyone outside looking in. For example: in the world of competitive bicyclists, if you tell someone their saddle looks too low, you’ve just called them a nerd. Or did you know there are certain brands of binoculars that die-hard bird-watchers would not be caught dead using because of how it would make them look? And even nerd circles have their nerds. For example, when you play Dungeons & Dragons do you use a character sheet to help you remember your powers? 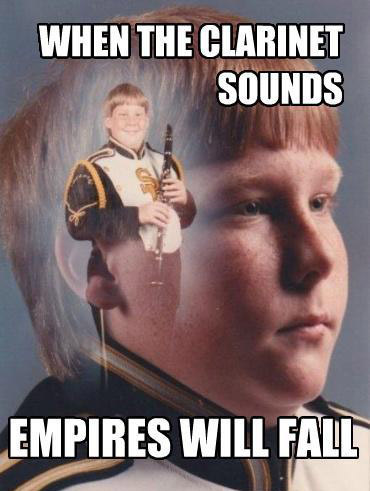 I hope not. Navigating the world of wine is just the same. As different wines ebb and flow in and out of favor, the wine public grabs onto some varietals making them the latest must-drink while vilifying others, usually for no reason whatsoever. Merlot has been a victim of this phenomenon. At some point, somebody decided that Merlot was the Civil War reenactor of the wine world and wine drinkers did not want to be seen with it. But like the chubby kid who becomes a football star, Merlot’s attributes could not be ignored and have recently brought it back to the starting lineup. Starmont Merryvale 2006, Merlot ($23.99): Like nerds on the day the cute girl joined the AV club, dark fruit, smokiness, spice, and mocha flavors compete with each other to stand out. Me: (Feeling more uncomfortable now) “My wine allotment. That’s…what I’ve…been setting…aside for wine…” (trailing off). Me: (Brightening somewhat because I was about to drop a great line) “That was an awesome California vintage!” (Immediately wishing I could take that one back). Me: (Getting defensive because my wine is now being threatened by a CPA) “But most of those wines are being cellared!” (That’s me not quite making the distinction between my wine-drinking future and my financial future). “And I’m sure my lottery investments will start paying off real soon!” (This speaks to the “lunacy and poor judgment” I mentioned earlier). Concannon Conservancy 2007, Merlot ($14.99): Concannon had a crazy idea with this Merlot: Make it balanced. I could ramble on about the fruit, the nose, etc. but the bottom line is you’ll love the deliciousness factor. Your financial advisor will love the price. What Do Ninjas and White Figure Skates Tell Us About Merlot? When I was twelve, my best friend had a little brother. Being an eight-year-old little brother is about as cool as trying to be a ninja when you’re thirty-five. Of course, when you’re twelve, it’s a cosmic truth that no eight-year-old is going to seem cool, but this kid didn’t do much to alter that truth either. Here are some pointers I picked up from that eight-year-old about trying to fit in with his brother’s twelve-year-old friends: 1) If you’re the only kid on the hockey rink with figure skates, be sure they’re not white. 2) Bear in mind that any group of twelve-year-old boys who spent the last week playing army will not be favorably disposed to crawling under the ping-pong table to play rabbits. 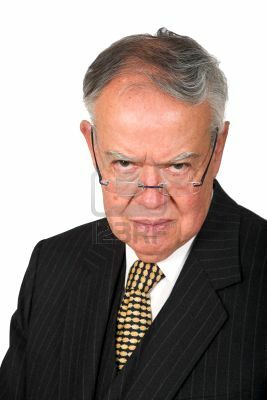 3) When your middle name is “Neil” and your last name is “King,” repeating the phrase “Kneel before the king! Kneel before the king!” is not even remotely cool. There are more but those are a few of the big ones. As the years passed and the difference in our ages became less of a factor, I noticed some things. For one, at seventeen his jump shot was better than his older brother’s. At twenty three, he was always the guy at the end of the evening with the phone number of the hottest girl at the party–something his brother could never do. At twenty six he was working as an engineer—and not the train kind either. I eventually learned that he could show his own variety of cool that was unlike his brother’s. Cabernet Sauvignon has a dorky little brother too–Merlot. It grows in the same areas and has many of the same flavor profiles as Cabernet but it’s a mistake to think less of him for not doing what his big brother does so well. For example, he often doesn’t go with that thick steak as well as Cabernet. He does, however, work better with roast chicken. Merlot is often fruitier than Cabernet (as in real fruit, not the dorky kind of fruitiness encountered by playing rabbits under the ping-pong table) so it tends to not overwhelm food like his big bro. This week’s recommendation displays the best of Merlot’s unique and un-Cabernet-like qualities. 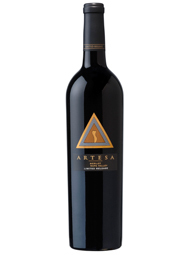 Artesa 2005, Merlot ($22.99): The light oak and tannins in this wine are completely supported by the soft fruit; much like a hockey stick completely supports a kid on two white figure skates. You are currently browsing the archives for the Merlot category.